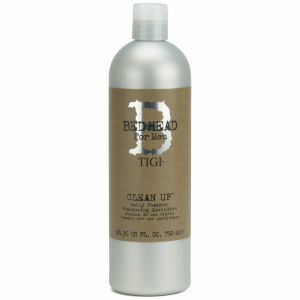 The TIGI B For Men Clean Up Tween, worth £44, contains a shampoo and conditioner that will stimulate your hair and soothe your scalp, leaving your head feeling thoroughly refreshed. 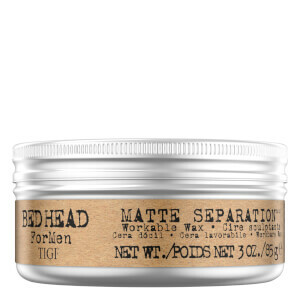 This fabulous set is specially put together to meet the needs of male hair. - L.M. Please Note: Bottle pumps not included. 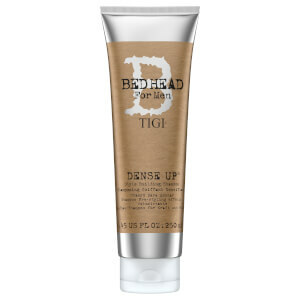 TIGI B For Men Clean Up Conditioner 750ml: Designed to soften your hair and refresh your scalp, this peppermint conditioner will protect your hair from environmental aggressors, whilst ginseng root extract and proteins will fortify your locks. Great product, incredible value for the amount of product you get. Also a little bit goes a long way. Where I needed twice as much shampoo to wash my hair in the past, Tigi cleans it with just one squeeze. Nice fresh, minty.